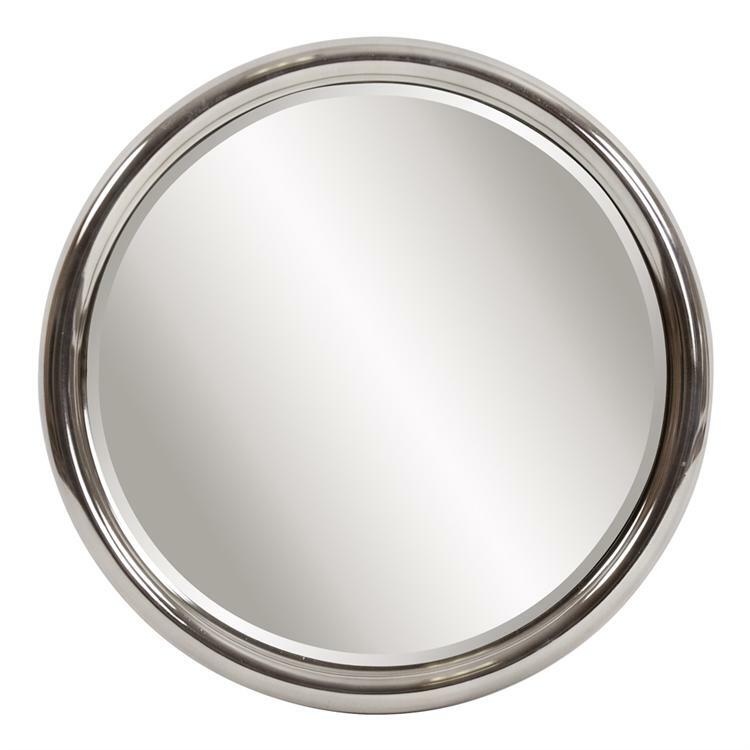 This mirror features a simple round frame that is finished in an electrostatic bright nickel plating. The Orange Mirror looks great alone or in multiples hung on the wall in any design. The glass mirror is beveled for added style. Customizable for larger orders.